It had been a long drive from San Francisco and I was anxious to get out of the car, but evening traffic gave me a chance to take a look at what I call the new Downtown Los Angeles. Things have changed dramatically since I went to college there years ago. Downtown is sporting a striking new look, and popping out of the shimmering skyline is The Ritz-Carlton, Los Angeles. 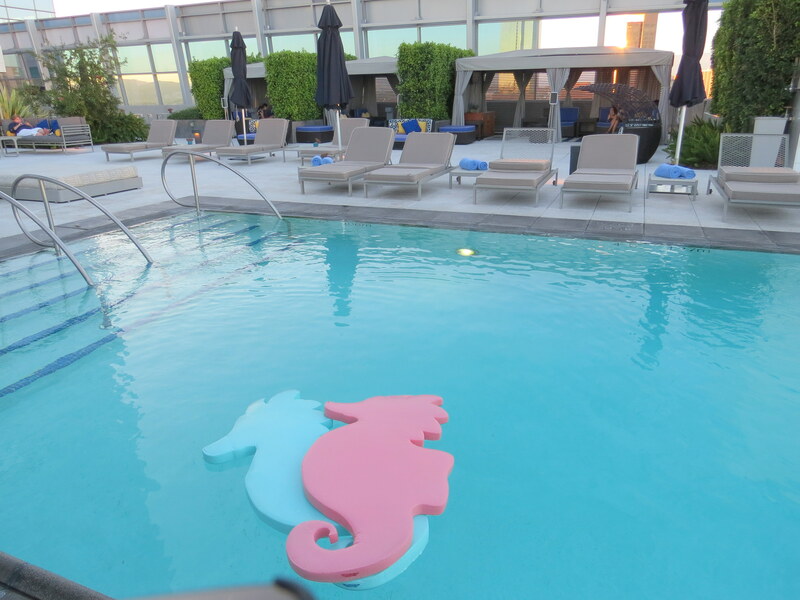 A cornerstone of L.A. Live, the Ritz-Carlton has some entertaining neighbors; the kind that make for great weekend getaways. 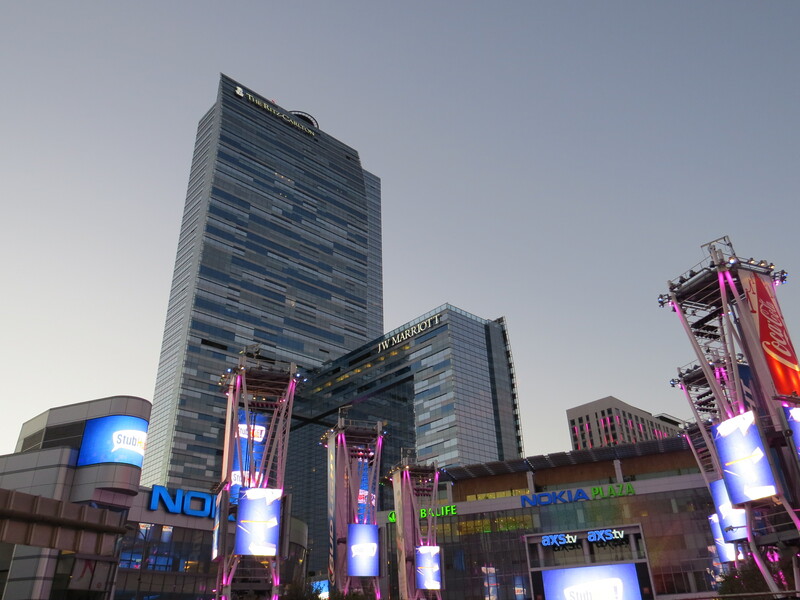 There’s the STAPLES Center, the Nokia Theatre L.A. Live, Regal Cinemas L.A. Live and a varied list of restaurants and nightspots. Finding the entrance can be a little tricky, since it shares the building with the JW Marriott Los Angeles L.A. Live. 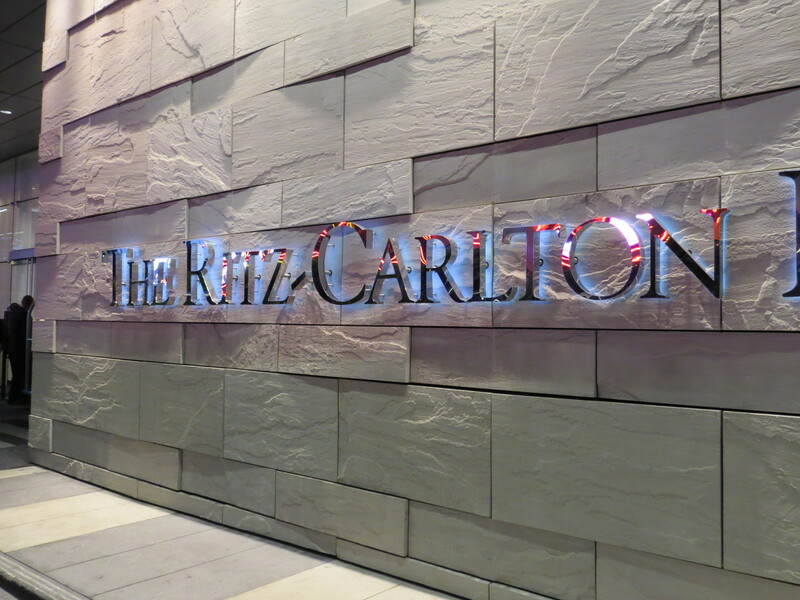 But once you pull in, the service The Ritz-Carlton is known for instantly kicks into high gear. Prepare to be spoiled; between round the clock doormen and valets, chances are you will not open a door for yourself the entire length of your stay. 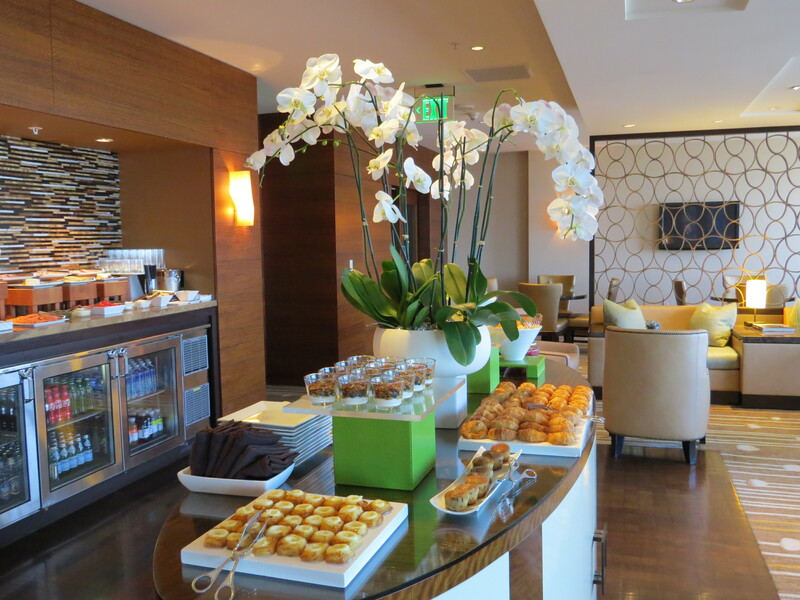 The simple, yet sophisticated lobby is home to a staff that takes care of your every need. When I asked for advice about getting to an event about 15 minutes away, they effortlessly made my day. The hotel courtesy car dropped me exactly where I needed to be– no driving, no parking. Traveling in downtown Los Angeles doesn’t get any easier. I like to walk and wander when I travel to new places. L.A. Live fills that order, but I found plenty to keep me happily busy within the walls of this shiny tower. Ritz-Carlton’s outdoor pool is located on the rooftop of the 26th floor. By day, it offers panoramic views of downtown Los Angeles and beyond. Soak up some sun or relax in the shade of a cabana. An overflowing poolside toy box is designed to please the young and young at heart. Take a dip, dine al fresco and repeat. 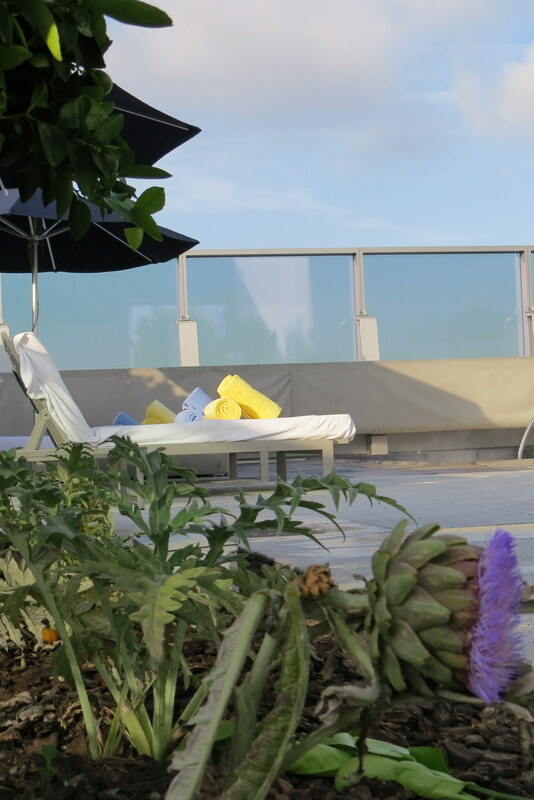 Somewhere in between, visit the rooftop veggie garden– tucked away in a corner. Your nose will lead the way. As enjoyable as it is by day, the city is also worth a trip after the sun sets. Downtown Los Angeles at night offers its own glamorous version of gazing into brightly lit skies above. How about a treadmill with a view? There’s more incentive to work out when the gym comes with a heart pumping view. Steps away from the pool, you can run for mile after mile in cool comfort. Technically, I guess the view doesn’t change, but it’s hard to grow tired of the bustling LA scene. If you’re lucky enough to be spending the weekend, complimentary Yoga, Meditation and Tai-Chi classes are offered Saturday mornings on the pool deck. Classes are tailored to the level of the guests, so don’t be shy. Mats, towels and water are provided. With all the happenings going on, in and around the hotel, you probably won’t spend much time in your room. Which is too bad, because there’s plenty to appreciate about this high rise home away from home. The building The Ritz-Carlton calls home is large, but the hotel itself is actually fairly small with only 123 rooms and 14 suites. Rooms are sleek and comfortable, and the attention to details is obvious and plain fun. They have all the things you would expect at The Ritz-Carlton; an uber-comfy bed, LCD television, wireless Internet access and twice daily housekeeping. But when’s the last time you spent the night in a hotel room with a real clock – the analog kind with actual moving hands? 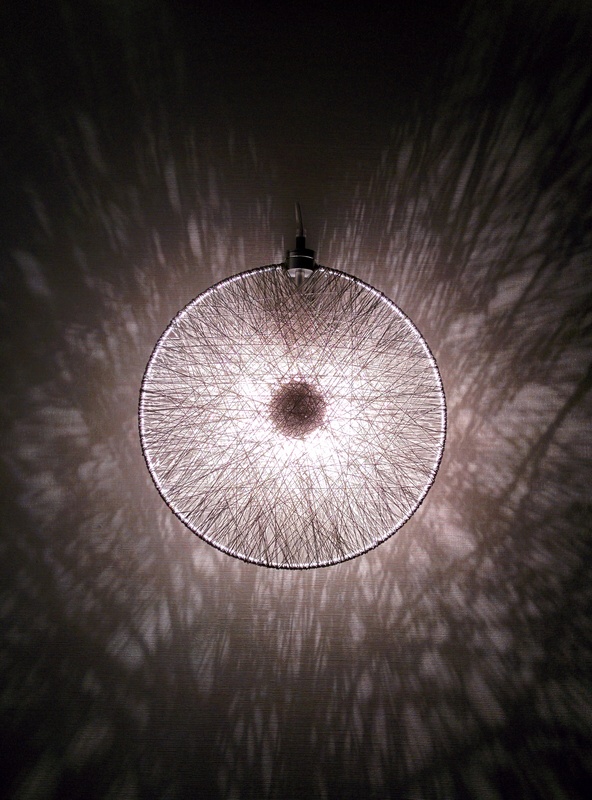 And the silver wire scone serves double duty, as art by day, and giving off a shooting star kind of light at night. 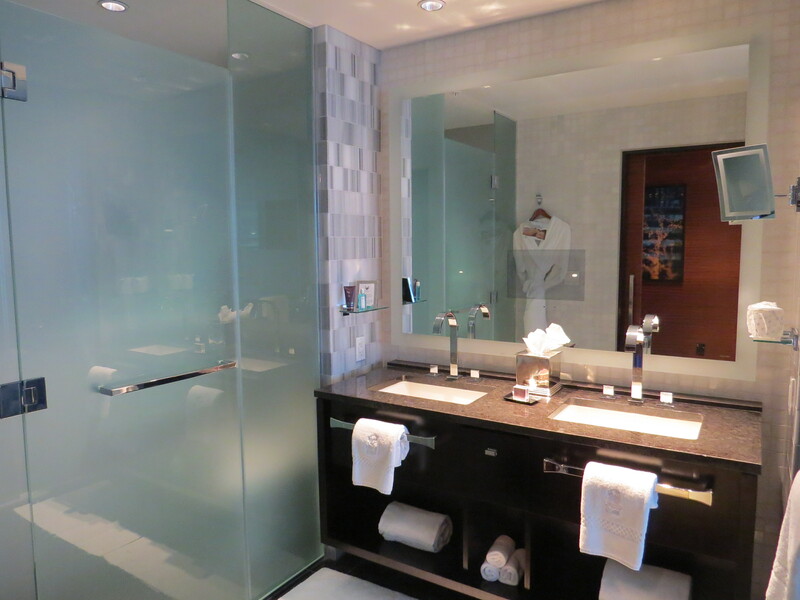 Bathrooms have a double sink vanity made of black and white marble. Its large mirror covers almost the entire wall and includes a television. A rain shower and soaking tub big enough for two are separated from the bedroom by a large glass panel that evokes a watery feel and allows natural light to travel through, while still maintaining a sense of privacy. For an extra $150 per night, (based on double occupancy) The Ritz-Carlton Club® Level is a bargain, especially if your stay includes a fair amount of time in and around the hotel. Located on the 23rd floor, it provides some nice extras; a personal concierge to help with everything from running maps to directions to reservations for restaurants and tours. If you’re heading somewhere fancy, the hotel will press two items for you. There’s also two computer work-stations with access to a printer. All nice perks, but The Club Lounge is what you’ll enjoy the most. 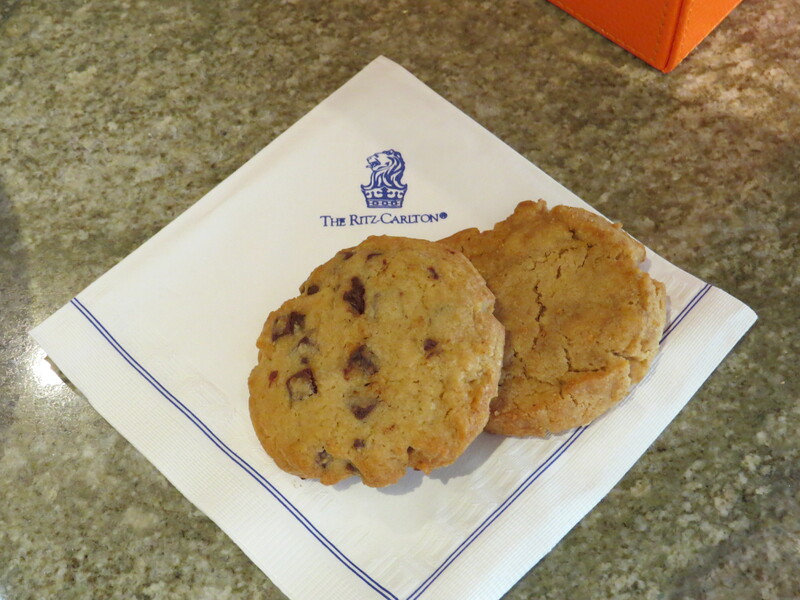 Open seven days a week, from 7am until 10pm, The Club Lounge offers four food presentations. The word presentation is not at all out of place here. It doesn’t matter whether you go for breakfast, lunch, hors d’oeuvres or my favorite, dessert. The food is as pretty as it is tasty, leaving hungry is not an option. Gluten free, sugar free, vegan, you name it, they’ll bend over backward to ensure there is something tasty for you to nibble on, while you enjoy scenic views of the Hollywood sign and the Santa Monica Mountains. Refined yet relaxed at the same time, the Club Lounge is comfortable, not stuffy and at 3,400-square-feet it’s easy for business people and families to co-exist peacefully. It has a lot to do with the staff and the smiles and maybe even a bit of a sugar rush. It’s hard for anyone not to be happy in a room that constantly replenishes shelves stocked with nostalgic candies and plates of house made cookies and French Macaroons.